After the solid foundation built in the previous modules, Module 5 of the Hridaya Yoga Retreat brings us to another level of practice. 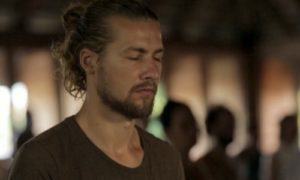 With it starts the presentation and practice of more advanced hatha yoga techniques that bring the awakening of kundalini shakti together with the capacity to witness its tremendous effects. This special journey is supported by a comprehensive explanation of the kundalini phenomenon according to traditional hatha yoga, Hindu and Buddhist Tantra, and Kashmir Shaivism. These traditional teachings will be corroborated with modern perspectives and research about kundalini. The course will predominantly emphasize the spiritual and mystical dimensions of this powerful energy. Module 5 supports an inner balance and consistency that brings a better understanding that what we are is not limited to the body, psyche, or mind. Traditional yogic and Ayurvedic teachings about the 5 actions represent not only a way to learn how to direct and control energy, but also an important revelation about the multidimensionality of consciousness and our relationship to space. The two vajroli mudra techniques that will be taught in Module 5 are ancient yogic techniques especially designed for the sublimation of the creative, sexual energies and the rising of kundalini shakti. They are part of the renowned oli mudras of hatha yoga. Through their performance, virya, the “power” of the sexual drive, can be sublimated into more refined energies that create the proper conditions for spiritual illumination. Some of these more subtle energies are called ojas and the oli mudras, particularly, can induce their sublimation. Ujjayi, also known as “the mental breath,” due to its significant subtle effects at the psychological and mental levels. Surya bhedhana, the breath that “pierces” pingala nadi, the solar channel in the subtle body. This practice refers mainly to the awakening of solar, yang energy in the being. As in the previous modules, a textbook that provides a wealth of additional information to support the understanding of each day’s teachings supplements the course program of Module 5. Module 5 consists of 10 days of instruction that span a month’s course cycle. Each day includes a 4-hour hatha yoga class that incorporates the presentation of a new hatha yoga technique, time for questions and answers, and personal guidance. Regular discussion groups round out the program. Daily hatha yoga practice sessions offered in Modules 1-4. Access to these classes is included for free with enrollment in Module 5. Additional events, including workshops, movie nights, devotional singing evenings, and lectures. Participation in Module 5 is limited to graduates of Module 4. Module 5 represents an unimpaired whole, designed to offer the best conditions for the dissolution of the ego and the expansion of the consciousness. Because of this, it may not be taken on a drop-in basis, but only by enrollment. See all upcoming dates and book your place for the Hridaya Yoga Retreat: Module 5 here.